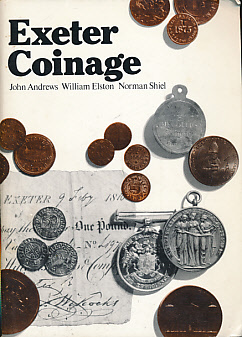 Barter Books : Andrews, John; et al : Exeter Coinage. Signed Copy. 210 x 150 mm (8 x 6 inches) - 84pp. Signed by John Andrews on the title page. Also, pasted onto front cover interior, a letter from John Andrews.